I believe mine was winning a trip to Disneyland and having to wait to tell the kids. Once we told them, they seemed less than happy. I guess part of it was it was early and they had not fully woke up... Oh well still was fun for me and my wife. The one where I saw the real Father Christmas arrive in his white van. In hindsight it was probably someone in a Santa suit parking to go to the pub next door. My most memorable Christmas was 2 years ago. My kids helped me propose to my then girlfriend using handmade cards and a secret plan. We got married a year later just after Christmas and will be celebrating our 1 year anniversary this year. Needless to say, I love this time of year! Spending Christmas in St. Pete, FL...nothing like Christmas where we lived in the mountains. Christmas 2008, the first Christmas I spent with my wife and her family. It was the first I felt like I was really being welcomed into her family. 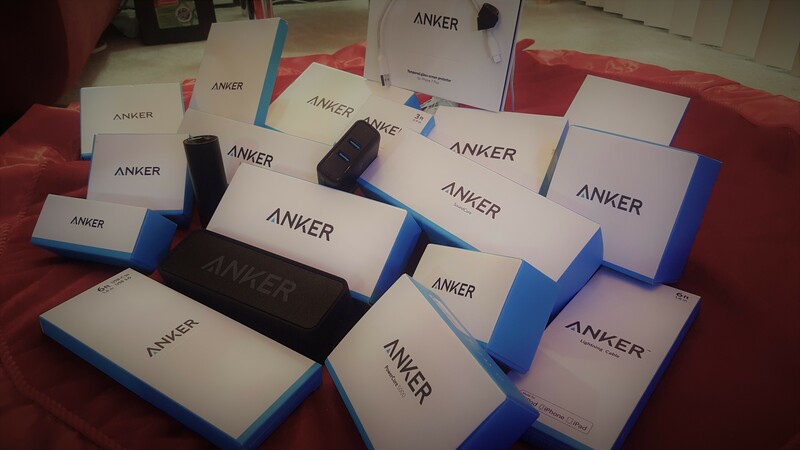 Memorable Christmas for me when we played white elephant game with ANKER Product and everyone was stealing each others Gifts. Great Times. My most memorable Christmas would have been from this past year. 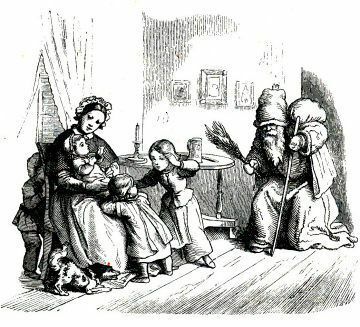 Growing up, Christmas was always a family affair. My mom was one of 6 children, who all have children of their own, so Christmas eve has always been spent with 30-40 people all jammed up in someone's home, enjoying each others company (or to the extent that you can enjoy family during the holidays). Christmas day would always consist of waking up, eating breakfast and opening presents before we would go to my dads side. After I got married in 2015, things do as they always. One day is spent with her family, one with mine. The usual situation for most married couples. My wife and I decided to take a year before we would try to start a family. Unknowing to us, that would take a little over a year. November 17th is the day my daughter was born. It was right before Thanksgiving, so we had some family over for a short bit, and crashed for the night. In the morning my wife and I came to the same conclusion: Christmas day would be just us 4 (doggo can never be forgotten as part of the family). Christmas eve was split between both sides of the family, which was better in the end. Christmas morning comes and it is everything we ever could dream of. We crawled out of bed and got to sip our coffee in peace with no rushing to get ready. Fed and played with my daughter, played with the dog in the yard, made all the the different foods we wanted to, watched both classic (The Grinch) and not-so-classic (Office Christmas party) movies, and spent the day in our pajamas. No rushing, no dressing up, no bringing a dish in the car, nothing. Now that my 2nd daughter is due in early January, we decided to carry on the tradition this year, both for my wife's sake and our own. It truly is one day that I looking forward to, before the hustle and bustle of having 2 kids under 14 months (to which the daughter is now walking as of today ) will bring. My most memorable Christmas was the first Christmas with my first son. Having children totally changes the reason for the season. When my cousins suprise visited us from Mexico, it was toatlly unexpected and a wonderful chrsitmas gift, plus they brought yummy mexican food ! So many memory although the one that I can think of right now is going to Grand Canyon on the week of Christmas. Took the kids and ride the polar express train up and down.